Are You Still Holding Back? Why??? 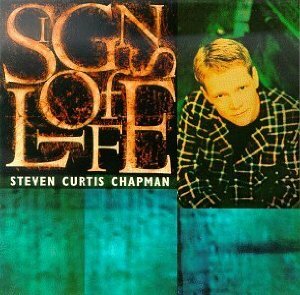 Hold on to Jesus, Steven Curtis Chapman & James Isaac Elliot, from Signs of Life, 1996. Actually, I know why some of you are still holding back. In a word: fear. You’re afraid of what your spouse (or other family members) might think of you if you make a public confession of faith in Jesus. You’re afraid that you might lose credibility if your colleagues knew that you’re a Christian. You’re afraid that you might lose your job if your faith became public knowledge. You’re afraid that you might lose your friends if they knew you were a Christian. You’re afraid that if you fully surrender to God, He’ll tell you to do something crazy, like sell all your possessions and give all your money to the poor. You’re afraid that God might call you as a missionary to some disease-infested jungle. And I’m not going to sugar-coat it: all of these fears are possibilities—and there are even worse possibilities that I haven’t named. But life is full of dangers and risks. Life is dangerous and fraught with so many perils, right from the moment of your conception. If you’re reading this, then your mother chose not to abort you. But many millions of babies worldwide are never born just because their mothers chose to terminate the pregnancy. So already you’re the recipient of an amazing blessing: life. None of us is given a guarantee that we will still be alive at the end of the day. Worldometer’s Population clock has 68,972 deaths worldwide so far today, and it’s only 10:30 in the morning—in Italy that is—but the website is a US creation, so it’s 4:30 in the morning on the east coast of the US, and already there are already nearly 70,000 deaths so far today. That’s 70,000 out of an estimated 7 Billion, but still, with that many deaths, there is certainly no reason to believe that you’ll be one of the survivors at the end of the day. All it takes is one drunk driver or negligent mechanic or demonized nutcase, and you could be spending tonight on a slab instead of a bed. That’s not to bring you down, but just to show that life is full of hazards, whether you’re a Christian or not. The difference is that if you’re a Christian, you won’t have to go through life’s perils and troubles alone. Christians have the same troubles as non-Christians. But the difference is that we don’t walk through those things alone. Your spouse (and maybe your whole family) might think you’ve lost your mind. But God can help you live out a faith-filled life before their eyes that will convince them far more than your words ever could. Your colleagues might have their doubts about you. But God can make you stand out to them as a beacon when they are going through tough times and need help. You might lose your job because of your faith. But God has something much better in mind for you—and it will satisfy and fulfil you like you had never imagined. You might lose your friends because of your faith. But God will replace them in your life with people who really love you, encourage you, and stand by you through life’s trials. If you surrender to God, He might call you as a missionary. This world desperately needs missionaries. But not only in the disease-infested jungles. God called me as a city missionary. God won’t call you to a place that you hate without giving you His love for that place. But most likely, He will call you to a place that you already love. Europe filled my dreams and imagination decades before God called me here. He usually prepares missionaries like that. If you want to see God work in supernatural ways, with healings, signs, and wonders, then stop holding back. Surrender your life completely to Him. You won’t regret it! God is good! You’ll see! Do you think you’ll be fed to the lions? Probably not! Even if the music is not your preferred style, Tobymac’s lyrics are very faith-building! I’m all in, I’m all in . 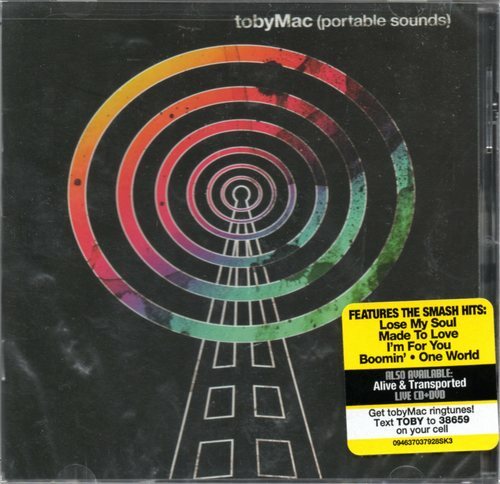 . .
All In, Toby McKeehan & Christopher Stevens, 2007, from Portable Sounds, Tobymac. You’re unhappy, things aren’t going right. Something important is missing, but you don’t know what to call it. You are a Christian, you may even be serving in your church, making coffee, teaching Sunday School, helping with the audio/lights, whatever. Your spouse (or children) refuse to go to church. What is going wrong? If this describes you, as it once did me, then I can tell you what it is: you are hanging onto something that you need to surrender to God. Whoever wants to be My disciple must deny themselves and take up their cross and follow Me. For whoever wants to save their life will lose it, but whoever loses their life for Me will find it. What good will it be for someone to gain the whole world, yet forfeit their soul? Or what can anyone give in exchange for their soul? (Matthew 16:24-26, emphasis mine). Surrender is how you find your life, how you save it. What would you give for your own soul? Would you give all your money? Would you give your phone/tablet/computer? Would you give your hobby? Your time? Your family? Yes, even your children! Whatever it is that is holding you back could cost you your life. I’ve been writing about the imminence of the Rapture (The Rapture and the World Left Behind) and the difficulty of surviving through the Tribulation (Tips for Surviving the Tribulation). There is nothing else in Bible prophecy that has to happen before the Rapture can occur. It literally could be any day now. And if you understand the parable of the Ten Virgins (Matthew 25:1-13), all ten are virgins. In other words, all ten are Christians. But five of them have neglected the oil, which is a symbol of the Holy Spirit. So they are not listening to the subtle, soft whisper of the Holy Spirit in their hearts. And when the Bridegroom (Jesus) comes to take them to His wedding feast, they won’t be ready. That means that they will have to go through the Tribulation. The Tribulation will be very nearly impossible to survive, even if you carefully hide yourself because there will be plagues, famines, and natural disasters on a scale never before seen in all the history of the earth. All non-believers will die in one way or another, and the vast majority of Christians will also die, having their heads cut off at the order of the antichrist. The Jews that flee the abomination of desolation will survive because God will supernaturally protect them (Matthew 24:15-22). The thing to do is to make a decision for Jesus now, before the Rapture. And when you do, surrender it all to Him. Even if you’ve already made a decision for Jesus, make sure that you’ve surrendered everything fully to His Lordship. Don’t let your job or the TV news or Candy Crush or Facebook take your attention away from Him while the devil tries to rob you of your inheritance. Today is the day of salvation! God is good! Just Lighten up and Laugh! 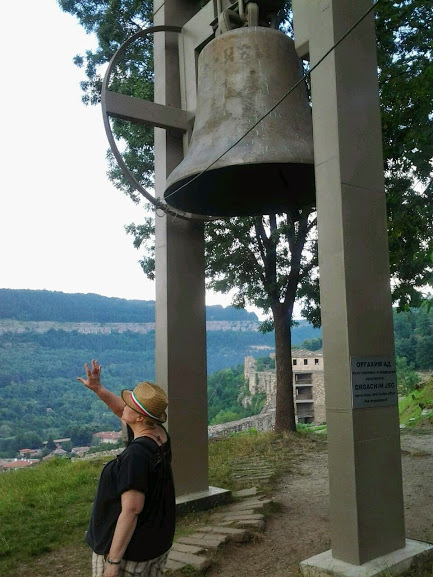 I didn’t know my picture was being taken in Veliko Tarnovo, Bulgaria. I wrote the other day about a guy in a car who pulled over to ask me for directions and then called me a foreigner when he heard my accent. It made me so mad at the time that I had to spend the 40 minute bus ride forgiving him and asking God to forgive me. Well, today it rained. No, it poured down buckets. Milan is very flat, and when it rains, most of the intersections become great ponds of filthy water. I had brought my umbrella, but it was raining so hard that the umbrella was almost useless. At the bus stop there were several of us waiting when a guy in a red car sped up and veered toward the bus stop shelter, sending up a sheet of water that drenched all of us. Was it deliberate? Definitely! When the bus came, one woman looked at me and said, “It was the guy in the red car, right?” Apparently he had done that at the stop before ours, too. Some people on the bus were really mad. I guess I would have been, too, except that I remembered that I had left both my phone and my watch at home, so there was no real harm done—at least not to me. You know, we do have a choice in how to react to situations like these. When I walked into the door of my apartment building, the custodian just laughed and laughed. I couldn’t help myself! I laughed, too. In fact, it felt really good to laugh about it. Every once in a while, we need to remember to lighten up and just laugh. God is good, and Heaven’s gag reel should be a side-splitter! 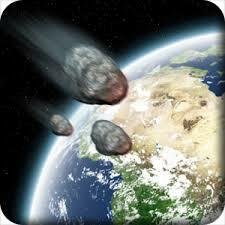 Deadly meteor showers are just one of the hazards of the coming Tribulation. 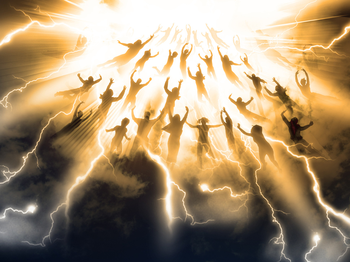 The first thing you need to realize is that if you didn’t make it in the Rapture, then your chances of physically surviving the Tribulation are not good. Not good at all! Without God, you won’t survive the Tribulation, no matter what you do (Revelation 14:20 and Genesis 7:21). But even those who make a genuine and sincere conversion to Christianity don’t have much of a chance of survival. Frankly, your physical survival is not high on God’s list of priorities. In all likelihood, you’ll die as a martyr by being beheaded. But at least as a Christian, you’ll have a chance of survival, which is better than nothing. And if you die, you go to Heaven, so really, it’s all good, no matter how bad it looks. Nevertheless let’s strive for survival. First of all, be very careful about who you trust. Jesus told us that there will come a time when people will put true Christians to death, thinking that they are doing a service to God, (John 16:2). And that includes your closest family and friends. Go underground. By that I mean get off the grid, hide yourself. You should start looking for a place as soon as you possibly can. Be smart about hiding because now there are so many ways of finding people. You’re going to have to get rid of all cell phones, tablets, GPS navigational devices, and computers. I know that’s really hard to imagine, but look at it this way, which would you rather keep: your phone or your head? Choose a place that’s fertile, remote, and very sparsely populated. Dig a well. And by dig a well, I mean hire somebody with the proper equipment to dig it for you—it must be good and deep. Get a generator, but understand this: you’re going to have to give up most of your electronics. Most generators run off gasoline and are noisy, which is a really bad idea when you’re trying to keep your presence a secret. So I recommend building your own bicycle-powered generator. This gives you a way to stay in shape, keep warm in the winter, and have a little electricity for essentials like a hot plate (a camp stove requires fuel), heating and refrigeration. Learn food preservation skills like canning, freeze-drying, drying, fermenting, pickling, and dry salt curing. Also knitting and/or crocheting are good skills to know. Get yourself a good survival book. Here’s a link to a free, downloadable e–book: S. Army Field Manual on Survival. Even more important than those skills, I recommend cultivating a close relationship with God. Although, your survival isn’t high on His list of priorities, remember that He is the Lord of Life. If you play it smart and stay close to Him, you greatly improve your chances of survival. The Holy Spirit is far better than any security camera or electric fence for keeping unwanted people out. You can even ask Him for invisibility. He did it for me (see The Retroactive Power of Invisibility). Believe me, it will be far better to go in the Rapture. But if you find yourself left behind, I hope and pray that these survival tips will help you to stay alive. God is good! Let’s fly away to Jesus! Listen, I tell you a mystery: We will not all sleep, but we will all be changed—in a flash, in the twinkling of an eye, at the last trumpet. For the trumpet will sound, the dead will be raised imperishable, and we will be changed, (1 Corinthians 15:51-52, emphasis mine). For the Lord himself will come down from heaven, with a loud command, with the voice of the archangel and with the trumpet call of God, and the dead in Christ will rise first. After that, we who are still alive and are left will be caught up together with them in the clouds to meet the Lord in the air. And so we will be with the Lord forever. Therefore encourage one another with these words, (1 Thessalonians 4:16-18, emphasis mine). “Now my soul is troubled, and what shall I say? ‘Father, save Me from this hour’? No, it was for this very reason I came to this hour. Father, glorify Your Name!” Then a voice came from Heaven, “I have glorified it, and will glorify it again.” The crowd that was there and heard it said it had thundered; others said an angel had spoken to him. Jesus said, “This voice was for your benefit, not Mine,” (John 12:27-30, emphasis mine). 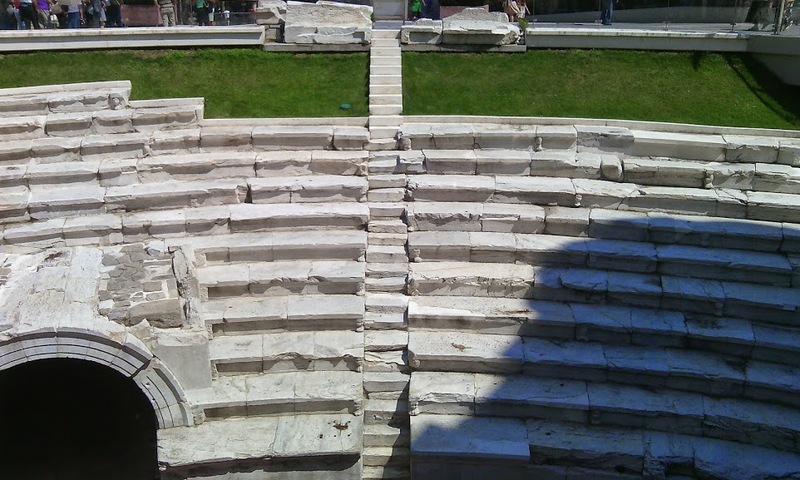 The Outer Court, also known as the Court of the Gentiles – This court represents the world that has not accepted Jesus as Savior. These people would be those who heard Father God’s voice as thunder—and that is likely what the archangel’s shout and the trumpet call will sound like to them at the Rapture. The Inner Court, also known as the Holy Place, where only Jews can enter – This court represents people who believe in Jesus, but are not bearing fruit for the Kingdom. These people would be those who heard Father God’s voice, but thought it was an angel that spoke. Because they are not spiritually tuned-in, they probably will not understand the significance of that shout, and it will be too late for them to go in the Rapture. The Holy of Holies, also known as the Most Holy Place, where only the High Priest can enter – This court represents Christians who are filled with the Holy Spirit and bearing fruit for the Kingdom. These would be the disciples, those closest to Jesus, who knew it to be Father God’s voice. Those going in the Rapture will hear the shout and the trumpet, and will know and be ready for what is happening, and they will go in the Rapture. All the stars in the sky will be dissolved and the heavens rolled up like a scroll; all the starry host will fall like withered leaves from the vine, like shriveled figs from the fig tree, (emphasis mine). On this mountain He will destroy the shroud that enfolds all peoples, the sheet that covers all nations; He will swallow up death forever,” (Isaiah 25:7, emphasis mine). Out of one of them came another horn, which started small but grew in power to the south and to the east and toward the Beautiful Land. It grew until it reached the host of the heavens, and it threw some of the starry host down to the earth and trampled on them. It set itself up to be as great as the commander of the army of the Lord; it took away the daily sacrifice from the Lord, and his sanctuary was thrown down, (Daniel 8:9-11, emphasis mine). The secret power of lawlessness is already at work; but the One who now holds it back will continue to do so till He is taken out of the way, (2 Thessalonians 2:7, emphasis mine). Given that up in the air is where Jesus will appear at the Rapture (1 Thessalonians 4:16-18), and given that we will fly up there to meet Him in the air, and given that the devil is the prince of the air, I believe that the Rapture will cause the veil between heaven and earth to roll up, and also cause (or allow) the devil and all the rest of the fallen angels (demons) to fall to the earth, where they will immediately begin to manifest. I also believe that Jesus’ appearance and the fall of the demonic forces to earth is going to be like lightning (Matthew 24:27), and as such will have the effect of an electromagnetic pulse (EMP). Jesus’ appearance, the Rapture, and the fall of the demonic beings will likely knock out all electronics, all the computers (including those in cars), all telecommunications, and probably even all the satellites—some satellites may even fall back to earth then. In other words, in an instant the whole world will be back in the 18th century: no electricity, no phones, and no computers. Older cars may run for a time, but where are they going to get fuel from? So news of the worldwide disappearance of Christians is going to be very slow in spreading. At first, people will really only become aware of the disappearance of the Christians they know and live near. Far more noticeable will be the disappearance of children and babies. Parents and grandparents are going to be frantic because their children are suddenly missing. So the disappearance of Christians is not going to register as quickly or profoundly on people as the personal losses of their children and their electronic gadgets. But far worse than merely suffering the lack of all our modern conveniences or even the disappearance of the children is that those demonic manifestations I mentioned earlier are going to be worse than you can imagine. The isolated incidents of mass murder that we’ve seen so far in schools, workplaces, and theaters are going to suddenly and dramatically increase, perpetrated by both demons and demonized humans. Quiet people, people you would never suspect of behaving violently, will suddenly become ruthless killing machines, heartlessly killing everyone around them until they are stopped one way or another. And these people will be young and old, men and women, people from all walks of life, and they will all display supernatural strength. It will be chaos and anarchy on an unimaginable scale. The demons will likely manifest in various forms: cat people, reptilian people, octopus people, giant bugs, mythological creatures, monsters, robots, and/or extraterrestrial aliens. This murderous rampage will look like the Holocaust in our streets in only a matter of days or maybe even hours. This sudden murderous violence will eclipse the news of the disappearance of Christians worldwide from the earth. In the midst of all this chaos and anarchy, there will arise a man who will save the day. He will stop the violence supernaturally—possibly by causing the sudden death of the demonized humans. He will organize a return to life as usual by getting the fallen systems up and running again. Because of all this, people will think of him as the savior of mankind, when he is anything but that. This man will be the antichrist. But he will be so charming, capable, and persuasive, so rational in a world so recently chaotic, that people will flock to him. They will want him to lead their countries, and he will. Probably one of the first things he will do is collect all the weaponry. And this will make sense for people having so recently witnessed the killing rampage with their own eyes. This man will promise Utopia—and people will believe it because that’s what they want to believe. When the news of our disappearance does eventually become noticed, this man (or perhaps a new age prophet) will explain the Rapture this way: he will say that our “alien fathers” came and took us back to the mother planet for re-education. He may even blame all the recent anarchy and violence on the Christians. He will likely explain that the alien fathers had a prime directive (as in Star Trek) not to interfere with a planet until they show themselves ready for first contact. (Gene Roddenberry, the creator of Star Trek, will be hailed as a prophet.) So aliens will walk among humanity (cat people, reptilian people, octopus people, giant bugs, mythological creatures, robots, and of course the big-headed, big-eyed extraterrestrial aliens known from so-called close encounters and from movies). Whatever form they take, if you’re still on earth when this happens, know this: they are not aliens! There are no aliens! They are demons, and they have a hidden agenda: to take worship away from God, and to wipe out humanity. Christians and Biblical Christianity will be blamed for all the wars and evils that have plagued earth since the time of Jesus. For example, he will point to Hitler and claim that he was a Christian, when in fact, he was anything but. He will most likely call for Bibles to be gathered and burned. Then in his most cunning lie, he will offer people the opportunity to “evolve” by having their DNA enhanced, promising them the same supernatural powers that he possesses, including healing and life everlasting. Transhumanism will be hailed as the greatest scientific advance of all time. People will be given the opportunity to “genetically enhance” their own bodies as well as their unborn children. What will look to people as their salvation is really the biggest scam of all time—and many people will fall for it. This “evolution” is going to change people’s DNA so much that they will cease to be human. When they cease to be human, those people will be beyond all possibility of redemption. I am aware of how much this all sounds like science fiction. It sounds crazy now, but when it happens, remember that I wrote all this beforehand. In my next post, I will give some insights into how to survive the Tribulation. But the best thing of all is to make a commitment to Jesus Christ now, and go with us in the Rapture. It’s very simple: believe in your heart that Jesus is Lord, and that God has raised Him from the dead. And then tell others about Jesus. I promise you, you’ll never regret it! God is good! Worshiping God is what it’s all about! So what is the first thing that the devil took from Job? It was the animals for the sacrifice (Job 1:14-16). The preacher said that without the ability to sacrifice, the hedge around Job lifted, and he lost everything. At this, Job got up and tore his robe and shaved his head. Then he fell to the ground in worship and said: “Naked I came from my mother’s womb, and naked I will depart. The Lord gave and the Lord has taken away; may the name of the Lord be praised.” In all this, Job did not sin by charging God with wrongdoing. Job had lost all his children and all his wealth, and his reaction was to praise the Lord. Then when the devil struck him with sores all over his body, what was Job’s reaction? He broke a piece of pottery to scrape himself with and sat in the ashes (Job 2:8). This time he didn’t worship. His wife told him to curse God and die (no doubt so that she could go find another rich husband). 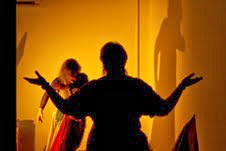 But Job’s reaction was to rebuke her and remind her that God doesn’t owe us anything (Job 2:9-10). But he still didn’t worship. Job’s friends sat with him on the ground in silence for seven days and nights (Job 2:13). Notice that after this second attack, Job didn’t worship, like he did after the first. Then in chapter 3, Job curses the day of his birth, and this opened the door for his friends to blame all his troubles on Job because of sin. I used to think that they weren’t such good friends because of the rest of the book of Job, but in rereading 2:13, I realized that only good friends would come and sit in silence for seven days and seven nights with someone suffering the loss of everything like Job. After Job had prayed for his friends, the Lord restored his fortunes and gave him twice as much as he had before, (Job 42:10, emphasis mine). When Job got his priorities straightened out again (God first! ), and prayed for his friends, then God restored to him double what he had before. So in thinking about all this, the Holy Spirit reminded me that when I was at my lowest point, after three years of depression ending in divorce, the way out of all that was when I worshiped God with all my heart. I was at a new church, sitting down front where I wouldn’t be distracted, and I worshiped God with everything I had. Was it a hand-raising church? I didn’t know, and I didn’t care. I wasn’t there for anyone else, only God. And don’t imagine for a moment that I felt like worshiping—not at all! If I had done what I felt like doing, I would have stayed in bed with the pillow over my head. But I’ve been a believer long enough to know that no matter what I’m going through, God is always worthy. And because of this abandon in worship, God healed me very quickly from the disappointment and sorrow of divorce. And not only that, but then He gave me the life of my dreams. I never even dared to dream that I would live in Italy and travel all over Europe helping missionaries. I hadn’t even thought of it this way before, but I had gone through a Job experience. God is good! Come Now Let us Reason Together! This morning I got the sad news that my friends, Natasha and Mikail’s youngest child was accidentally killed. Mikail is a fourth generation pastor whose father and grandfather had been pastors under communism in Eastern Europe. His brother is also a pastor, so this is a family full of faith and many years of serving the Lord. Of course my first reaction was sorrow. It’s just unimaginable that such a thing could happen. Then I struggled with the question: why did this happen? Of course, God could have stopped it from happening, so why didn’t He? And that’s when something wonderful happened. I can’t tell you what because I don’t know what it was, myself. But little by little, I found myself convinced once again of God’s great goodness and love for us. Many times when tragedy strikes, we tend to blame God, even rage against Him. I did. Years ago when both my sisters-in-law lost their babies, I raged against God. After the death of the second baby I read in the newspaper that three women in New York City had thrown their babies out the window. At the time, I was pretty far from God, not having ever found a good, Bible-believing church in the city where I lived. Plus, my husband had announced one day that he didn’t believe in God any more. So when I read that, I thought about how much my sisters-in-law had wanted babies, and how people like those New York women seem to breed like bacteria. So I decided that either God was lazy or God didn’t exist; and not willing to live with the idea of a lazy God, I became an atheist. God let me have my temper tantrum. For eight years I lived as an atheist, and all the while, God protected me in inconspicuous ways. Then God showed up again in my life and invited me back. I hadn’t been looking for Him, but He left the 99 other sheep and came looking for me. That’s when I realized that God doesn’t react in anger to our anger. Like a loving father with an angry two-year-old, He let me rage and pout and turn my back on Him. And when my anger was spent, He gently invited me back. “Come now, and let us reason together,” Says the Lord, “Though your sins are like scarlet, they shall be as white as snow; Though they are red like crimson, they shall be as wool,” (Isaiah 1:18 NKJV, emphasis mine). So yesterday, when I honestly admitted my crisis of faith, He gave me some kind of faith injection. Don’t be afraid to be honest with God when you’re struggling. If you’re honest with Him, He will help you through whatever you’re going through. And I have no doubt that He is helping Natasha and Mikail and their children to work through this terrible loss. Even when tragedy strikes, God is good! The rainbow had depth and substance! This afternoon I saw a rainbow in the sky just east of Milan. It amazed me, and I couldn’t take my eyes off of it. Usually rainbows seem ethereal, almost mirage-like, but this one it had depth and substance. I was on a bus, and as we drove, it was like I could see many different sides of the rainbow. Like the appearance of a rainbow in the clouds on a rainy day, so was the radiance around him. This was the appearance of the likeness of the glory of the Lord. When I saw it, I fell facedown, and I heard the voice of one speaking, (Ezekiel 1:28, emphasis mine). And the One who sat there had the appearance of jasper and ruby. A rainbow that shone like an emerald encircled the throne, (emphasis mine). The first time I read this, I didn’t understand how a rainbow can encircle anything, given that it’s never more than a semicircle. But then I learned that Heaven exists in dimensions beyond ours (click here for a good demonstration of the fourth dimension). 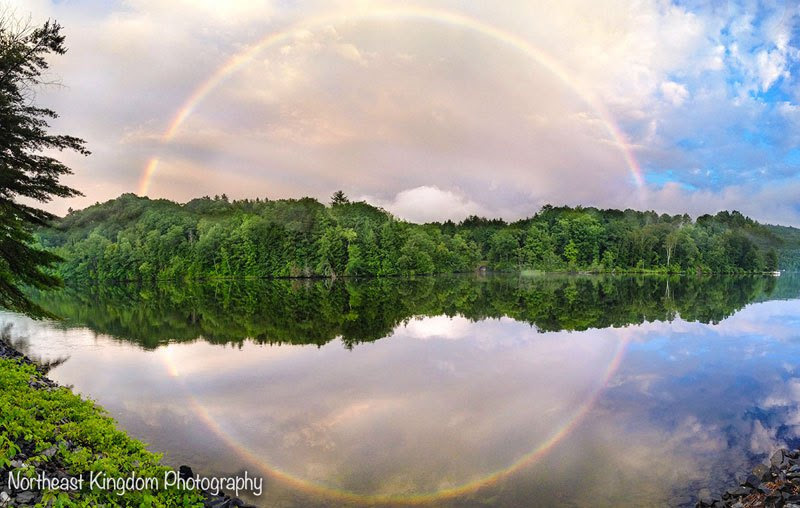 The rainbow that encircles God’s throne is a multi-dimensional rainbow, and therefore it is a full circle. So on the bus as I sat gazing at the rainbow, God revealed to me that when He gave the rainbow as a covenant to Noah, He was putting His own throne up as the guarantee that He would never again destroy the earth by a flood. And then I also realized that whenever we see a rainbow, we are seeing a reflection of God’s throne—His presence!—on earth. When I was a small child I lived next door to my grandparents in the small town of Hereford, Texas. One day I saw a rainbow, and the end of it was just on the other side of the fence, in my grandparents’ yard. Their yard was fenced because they sold farm equipment, so I had to run down to the gate to get into their yard. But when I got to the spot where I had seen the rainbow, it had moved to our yard, instead. Back and forth I ran all afternoon, chasing that elusive rainbow. God was playing with me! On our recent trip to Kosovo, we saw rainbow after rainbow on the road between Albania and Kosovo (see On the Rainbow Road to Pristina). And on my trip to Israel, when we were traveling about in northern Israel, near the Syrian and Lebanese borders, there was a fat rainbow just outside my window that kept pace with the van all day. Nobody else saw it, but I knew that God was showing me that He was with me. So what is the significance of rainbows? Rainbows are encouraging. They are a sign of God’s presence, since the rainbow in Heaven encircles God’s very throne. If God is for us—and with us!—who can be against us? God is good! The Jews who were not persuaded, becoming envious, took some of the evil men from the marketplace, and gathering a mob, set all the city in an uproar and attacked the house of Jason, and sought to bring them out to the people. But when they did not find them, they dragged Jason and some brethren to the rulers of the city, crying out, “These who have turned the world upside down have come here too,” (Acts 17:5-6, NKJV). When I was a small child (in the late 50’s) it was normal to pray in school (also pledge allegiance to the flag). And during the social revolution of the 60’s Christians were ridiculed, but not hated. In the 70’s we were called Jesus Freaks—a name that many of us actually embraced (I did!). But then something started to change. 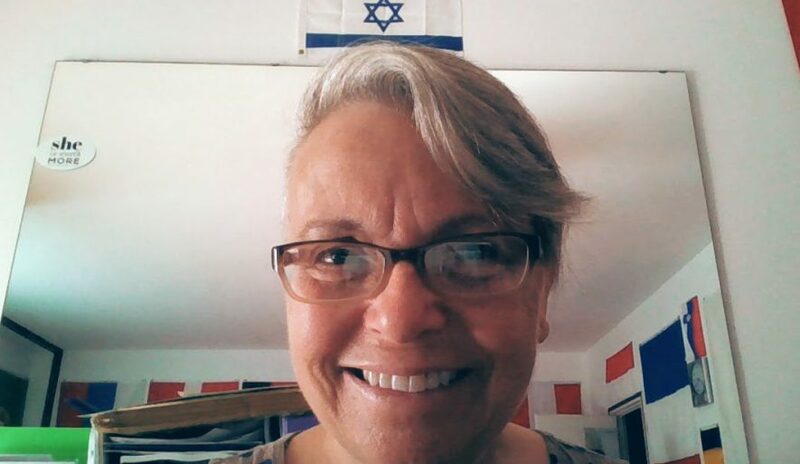 I will never forget the first time I heard someone say that she can’t stand the sight of a Bible in someone’s house (can you imagine saying that to your host? )—I was shocked. And now there are people who say that the world would be a better place without Christians. Israel has experienced a hardening in part until the full number of the Gentiles has come in, and in this way all Israel will be saved. (Romans 11:25b-26a, emphasis mine). We can speed the return of Jesus by sharing the Gospel! So get out there, my friends! Share the Good News with all Creation! Let’s complete the number of the Gentiles and speed Jesus’ return! I don’t know about you, but our wedding day is not something that I want to put off, not even one single day. Let’s go turn the world upside down! God is good!